1) It Answers Questions without Added Fluff. Without going into unnecessary details, the release succinctly fulfills its purpose by answering the two most important questions: why Jobs is resigning and what happens next. With just 149 words, readers walk away with a clear understanding of the situation. Takeaway: Keep your releases short and to the point. Don’t bog readers down with superfluous information. When reading the release, you get a sense of Jobs’ gratitude and optimism, and possibly a hint of sadness. Its sincerity and honesty is what makes it effective. Also, unlike many releases, the responses aren't canned (e.g. "we're honored..." or "we're excited..."). Takeaway: Don’t get caught up in over-embellishing, exaggerating or corporatizing. Instead, tell the truth and use language that will resonate with target audiences. 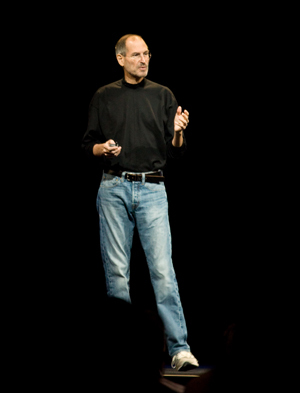 What do you think of Steve Jobs’ release? What other releases do you find highly effective, and why? So we’ve carefully selected the best 30 quotes from the world’s greatest branding experts, marketing thinkers and creatives to save you time.